When was the last time you said you were proud of yourself? When was the last time you gave zero fucks and just walked out the front door full of confidence? When was the last time that you thought about how amazing and special you are; how lucky you are to have the body giving you life? I have to admit that the above rarely applies to me. In a new era of self-love and acceptance, however, I'm starting to see the tide turn for both myself and some of my most modest (read: self-deprecating) friends. Incremental daily improvements in the business of personal style will lead to monumental shifts. With the democratisation of fashion comes some long-overdue diversity and important questions raised about consumption. With all its flaws, social media pushes us to honestly discuss issues we've typically kept in the dark. And with the combined global power of the people, change—in terms of the way people think and how we act—can be solidified in a matter of moments. 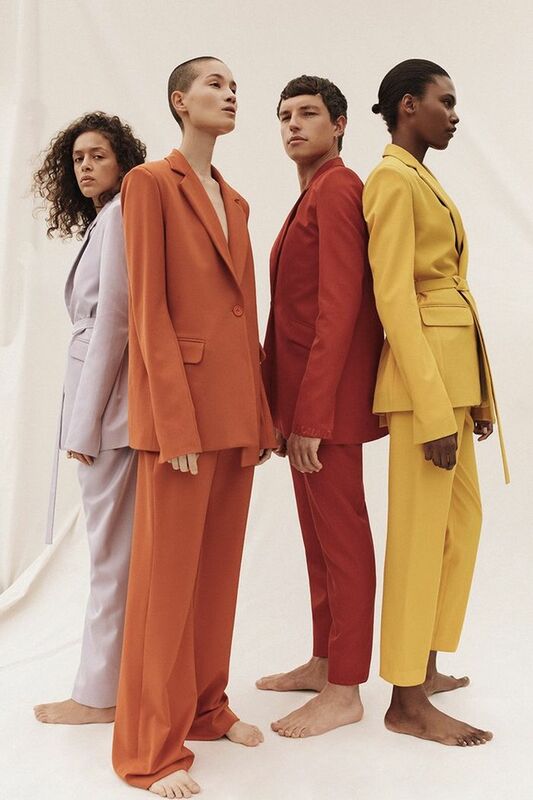 House of Holland; PICTURED: House of Holland has just launched a range of rainbow-coloured made-to-order tailoring to celebrate Pride Month. 25% of the line's proceeds will be donated to the Albert Kennedy Trust, an LGBTQ+ youth homelessness charity. Last month, after reading Stephanie Yeboah's powerful piece on how to stop hating on yourself, I knew that our plans for July couldn't be better timed. This month, the UK celebrates Pride Month to show support and solidarity to the LGBTQ+ community. Similarly, Who What Wear UK is a fashion platform committed to supporting and lifting up our readers—no matter what their struggles or pivotal moments may be. Being heard and valued is hard. Having your voice be heard is even harder for those who have long been overlooked or sidelined. That's why we'll be highlighting key queer influencers and forces within the LGBTQ+ community—starting with the brands that genuinely support the cause (no bandwagoners allowed). It's also why we continue to make considered efforts to be as inclusive, diverse and user-driven as possible (your fashion choices inspire us on a daily basis and often generate some of our coolest content). We'll be looking to people who stand for the things they really believe in—whether it's a fashion lover who's a football fanatic or a style journo who has modelled her entire life's wardrobe on Princess Diana. @lucyknell; PICTURED: Instagram needs you! More and more cool girls like Lucy Knell (pictured here) are challenging the archaic, nonsensical beauty standards of our society (we also want to buy her Bower swimsuit). Share your summer looks with us by tagging #WentOutLikeThis. There's also the fact that this part of the year brings a great deal of outside action. I'm urging you to throw those body/wardrobe hang-ups straight out the window. If you don't have them, tell us your secrets (a DM on Instagram will do nicely). If you do have them, please ditch them—they're only holding you back, and you'll regret them one day. We'll be offering you plenty of fun fashion ideas for the moments you'll be OOO, so you can go OTT. Get out, get proud and (most importantly) get an ice cream.